View Booking Offer !! Online Sample Flat !! View Price Sheet !! Free OLA/Uber Pikcup/Drop !! Firt Time 1 BHK 36L AllIn !! 5:95 Payment Plan to Book Your Dream Home. The Lodha Group has several landmark developments to its credit including World One - the world's tallest residential tower, and Palava City - the largest private development in the world. The group has brought some of the top global names including Armani/Casa, Trump, Philip Starck, Jade Jagger, Greg Norman and Pei Cobb Freed to India. The Group has recorded the biggest land deal in India till date, buying a plot for INR 4,053 Cr from the Mumbai Metropolitan Region Development Authority (MMRDA) in 2010, where it is developing New Cuffe Parade, a world-class mixed use development set to become the new city centre of Mumbai. Lowest interest rates in a decade, resulting in super-low EMIs. Get benefits up to Rs2.3 lacs under the Pradhan Mantri Awas Yojana (Urban), if you are a first-time home buyer with an annual household income between Rs6-18 lacs. Palava supports the Hon’ble PM’s mission and is the first project to pass on budget incentive for affordable housing to its customers. Live a fulfilling urban life in a progressive ecosystem at Palava. Spread over 4,500 acres, Palava is envisioned to become the largest ever privately planned development in urban India and has already been ranked India's no.1 smart city*. Strategically located at the junction of Kalyan, Navi Mumbai and Dombivali, Palava is poised for growth and is getting ready to be among the top 50 most liveable cities in the world. Palava offers a family-friendly enclave where vast open and green spaces, world-class education and sports facilities, walk-to-work opportunities, cultural avenues and modern homes are no longer dreams. With a myriad of opportunities to live, learn, work and play, it’s no wonder that over 1 lakh residents proudly call Palava their home. Palava City is India’s first integrated Greenfield smart city being developed by the Lodha Group and managed by Palava City Management Association. Located at the junction of Thane, Navi Mumbai and Kalyan, Palava is home to over 29,000 families (resident population of more than 60,000) in just 8 years since its inception, it is edging towards becoming India’s fastest growing city. With over 25% green space, the city offers its citizens two ICSE schools, high-quality sports facilities, inclusive of a 9-hole golf course among others, a 5 lac sq. ft. Xperia mall, grand clubhouses, high-quality pedestrian environments, community spaces and more. Highest Return on Investment (ROI) from Palava: Get a maximum of 300% of ROI in just 3 years. Much higher than any other investment platform in the world. 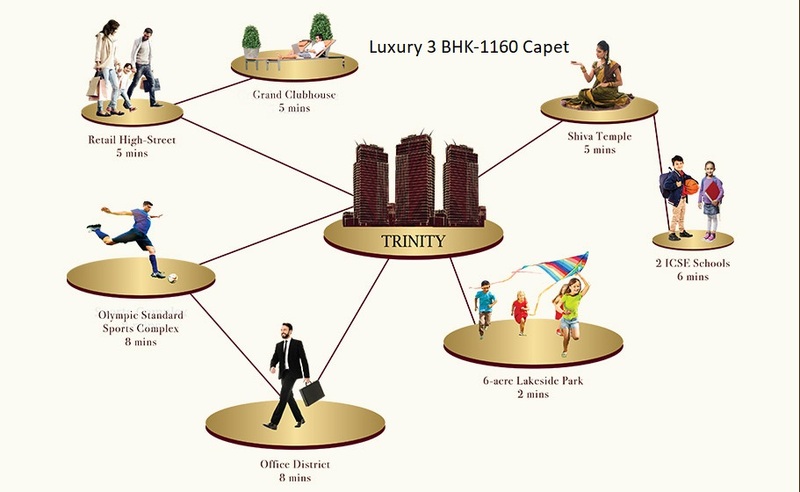 This highest ROI is only possible in at Lodha Palava and this is the opportune time to invest your money. Play: Ready Cricket Ground, Football Ground & Golf Course.